January 5, 2016 - The FAA amends final rule it made on Part 135 fight operations that had required in some cases the copilot, the second in command (SIC) of a Part 135 flight to hold an ATP certificate. Back in 2010, congress passed the “Airline Safety and Federal Administration Extension Act of 2010”, this bill would require the copilot, the first officer of a Part 121 fight to hold Airline Transport Pilot (ATP) certificate. This legislation came about in part due to the crash of Colgan Air Flight 3407 which was on an instrument approach for Buffalo-Niagara International Airport in which the Bombardier Dash 8-Q400, N200WQ, d.b.a. Continental Connection flight 3407, crashed killing all 49 onboard. During the investigation, it was learned that the copilot of Flight 3407 who held a commercial pilot certificate lacked the necessary skills and flight training needed. As a result, congress mandated that all first officers under conducting a Part 121 fight shall hold a Airline Transport Pilot (ATP) certificate. 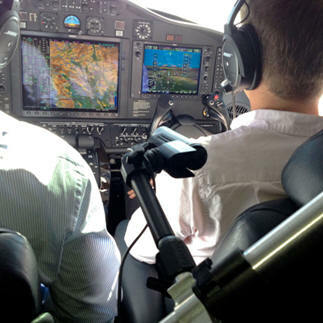 However, in the drafting of the new rules requiring copilots under Part 121 operations to be required to have an ATP certificate, it also required copilots flying under Part 135 under certain training conditions to be licensed with an ATP certificate. Since the FAA only intended this change to affect copilots of 121 flight operations, the FAA has amended the regulation to exclude copilots operating under 135 flights. The amendment which was published on Tuesday corrects and amends Parts 121.431, 135.3 and Part 61 that affects ATP training and testing (see final rule).